TASIS IB Visual Arts students look at the practice of artists and curators in mounting exhibitons, from choosing artworks and arrangement within an exhibition space to assembling a group of artworks that communicate a larger idea to a particular audience. "It was fun to follow the trail of pictures down the narrow walk street of the village," said Maria Vitoria Mourao Clemente '19. "I found myself looking at the textures of the buildings as well as the photos." 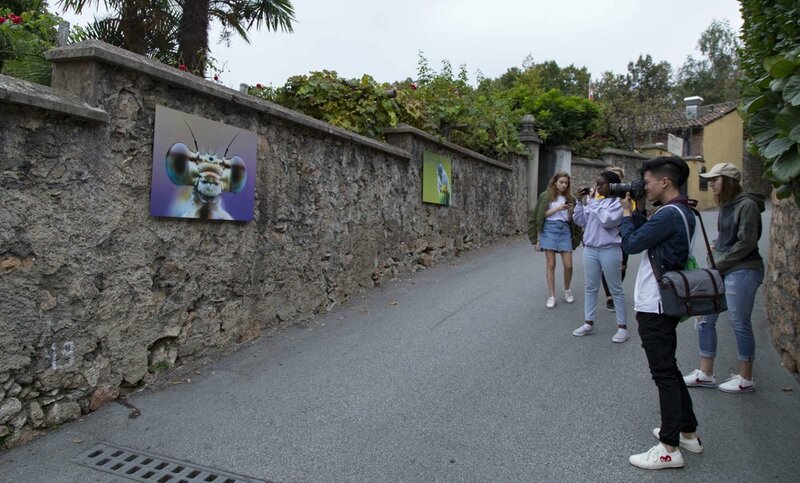 "I found it interesting to consider the connection between the images of insects and the images of the Kazakh Eagle Hunters with this Swiss town," said Bryan Soh '18. "The photographs don't seem to fit exactly, but they are great nonetheless." The exhibition also features the work of several photography students at the local art college, CSIA. The students especially enjoyed Romina Berri's images of the soles of shoes and the terrain they were designed to walk on, and the photographs of Viola Robbiani which show closeups of hands that resemble other body parts and other geography. "I really enjoyed the pictures of the hands," said Mouna Loueke '19, "and I like the idea of seeing them right on the street of the town. I wanted to stay there and try to figure out how they were shot." 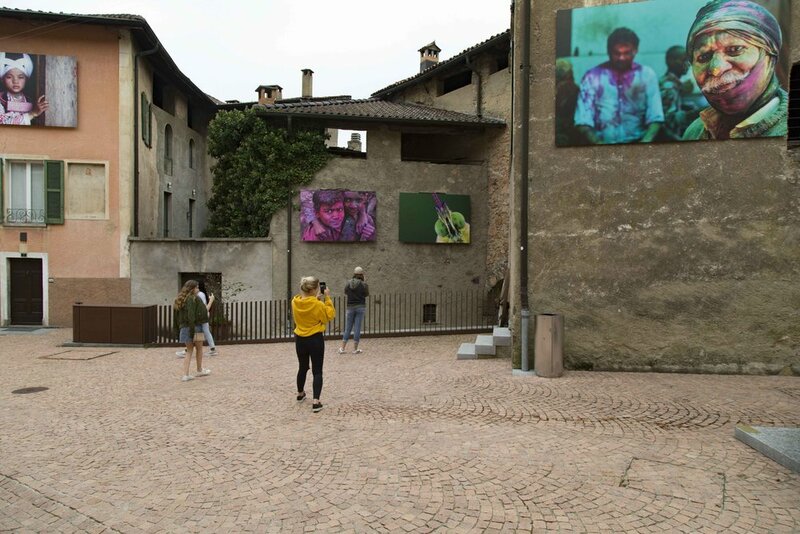 TASIS IB Visual Arts students will be visiting a number of exhibitions at museums and galleries this year, and many of the Year 2 students will spend two days at the Venice Biennale on Academic Travel.